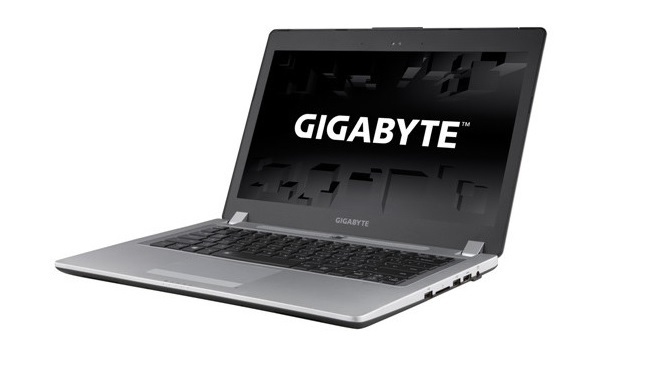 The Taiwanese company, Gigabyte hits 2015 with an exciting series of laptops, Gigabyte P37X, which is focused on gaming. This impressive new incomer of P- series is officially launched at CES, Las Vegas. The company claims it to be the lightest 17.3 inch gaming laptop of the world. This slim and super portable gamer- oriented laptop is expected to reach technology markets by February 2015. Gigabyte P37X offers an extraordinary gaming experience with its optimum features. It houses Intel Core i7 Haswell CPU. Top end performance is assured by the latest Nvidia GeForce GTX 980M 8GB VRAM card packed in Gigabyte P37X. It uses Quad-storage system up to a pair of 512GB mSATA SSD and two 2TB HDD drives. It provides an exceptional flexibility with its hot swappable Bay slot. P37X have a 1080 pixels resolution display with a screen size of 17.3 inches and 22.5mm thick chassis. While playing, the key combo operations for intuitive and responsive commands are simplified with the innovative Macro Hub. The premium audio-visuals are offered by stereo subwoofer and Dolby Digital Plus Home Theater along with WQHD+ Full HD wide viewing angle display. The laptops will have superior thermal cooling capability due to the Supra-cool Technology used. The starting prices of Gigabyte P37X will be $2,099 all the way to $2,299 for added facilities. The other versions of P37 series- P37W with GTX 970M and P37K with GTX 965M, will be a little less expensive with prices in the range of $1749 to $1999 and $1149 to $1349 respectively. The company has also brought out a 14 inch P34 series and 15.6 inch P35 series gaming laptops at CES 2015.